NEW YORK—Stressing that the league will take a hard-line stance when enforcing its policy for on-field conduct, NFL commissioner Roger Goodell announced plans Thursday to curb any prolonged or excessive touchdown celebrations by removing the areas of players’ brains responsible for emotions. 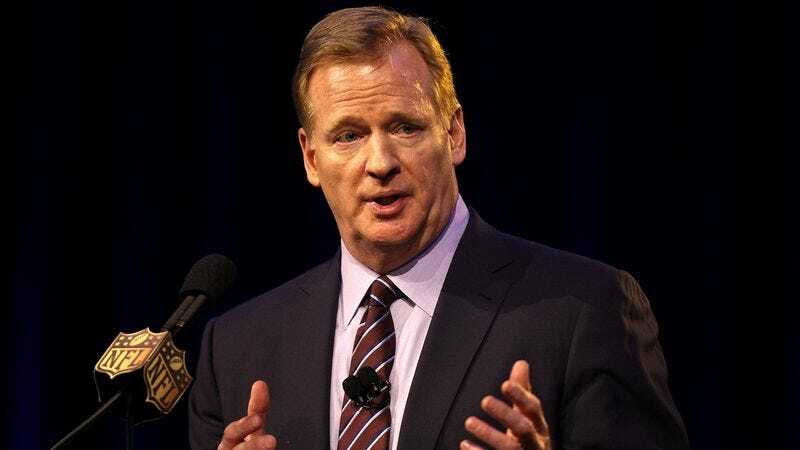 “In order to prevent any future incidents of unsportsmanlike behavior, we will be forcing every player to undergo a roughly 14-hour surgical procedure that will remove all parts of the cerebrum that correspond to experiencing feelings of any kind,” said Goodell, adding that in order to comply with rules regarding acceptable celebrations, players will no longer be permitted to possess the amygdala, hippocampus, prefrontal cortex, hypothalamus, or cingulate gyrus in their limbic systems beginning in week 15 of the regular season. “We’re confident that by surgically excising the neurological structures that allow players to feel joy, excitement, relief, pleasure, or any other emotion, our athletes will conduct themselves properly and represent their teams, the league, and the sport of football in the best manner possible.” At press time, the Pittsburgh Steelers confirmed that due to a serious surgical complication, star wide receiver Antonio Brown has been left in a permanent vegetative state.